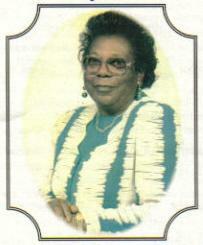 Mrs. Hattie Johnson served as President of the female ushers, combined usher board, secretary of Sunday school, supervisor of the junior ushers, as well as a member of the Deaconess Ministry, Helping Hands Ministry, and Senior Missionaries for several years. Rev. 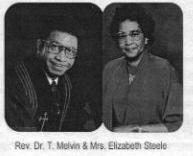 T. M. Steele and Mrs. Elizabeth Steele were united in marriage in December 1948. At the time of his death, they had been married for 57 years, 45 of those years as a member of New First Baptist Church of Taylorsville., She served as the president of the Willing Pulpiteer's Club, Deaconess Board, Prayer Band and the Sunday School for many years.